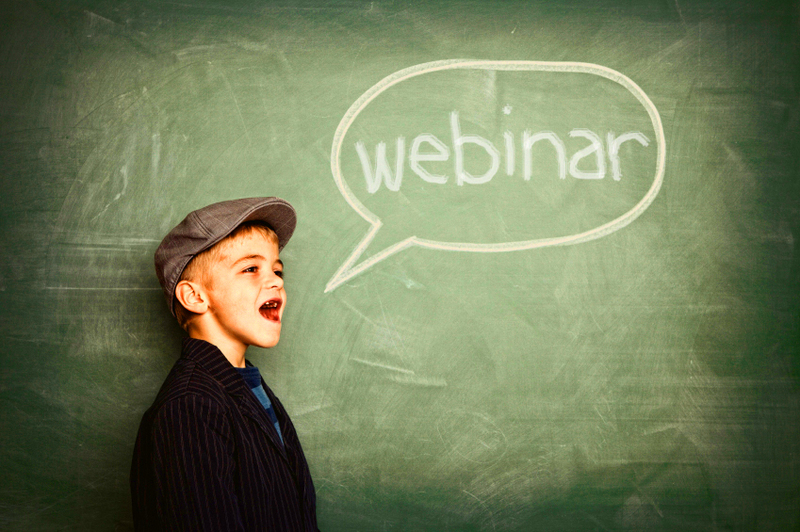 When you’re a busy pro, do you want to spend your time managing and customizing your website, portfolio and your blog? When you’re using a different service for each piece of your business, it can be quite the chore to not only remember to update each corner, but to make sure they match. At Photography Blogsites, you already know you’ll get a clean, beautiful website in as little as 30 seconds, completely bundled with portfolio galleries, blog and social media features. But if you’re looking to give it a major boost, our newest partnership with SmugMug adds in unlimited uploads, safe archival galleries and (best of all) fully integrated commerce features so you can sell your work. Excited yet? Take a look at our video here. 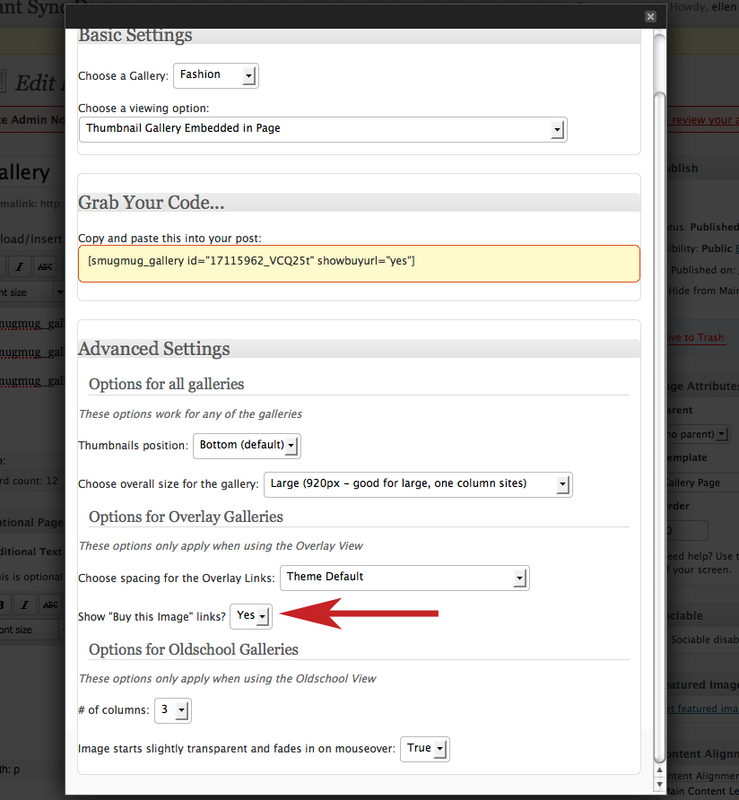 We make it so easy to sync your blogsite with your account at SmugMug and pull in your galleries. Instant content! It’s is an awesome way to keep your individual client proof galleries separate (and manageable) from your portfolio site, ensuring your clients don’t get lost or confused. With your authorization we’ll instantly slurp your photos and galleries over for a seamless connection. Consistency is key, and you can be sure your unique customization bridges the gap, too. 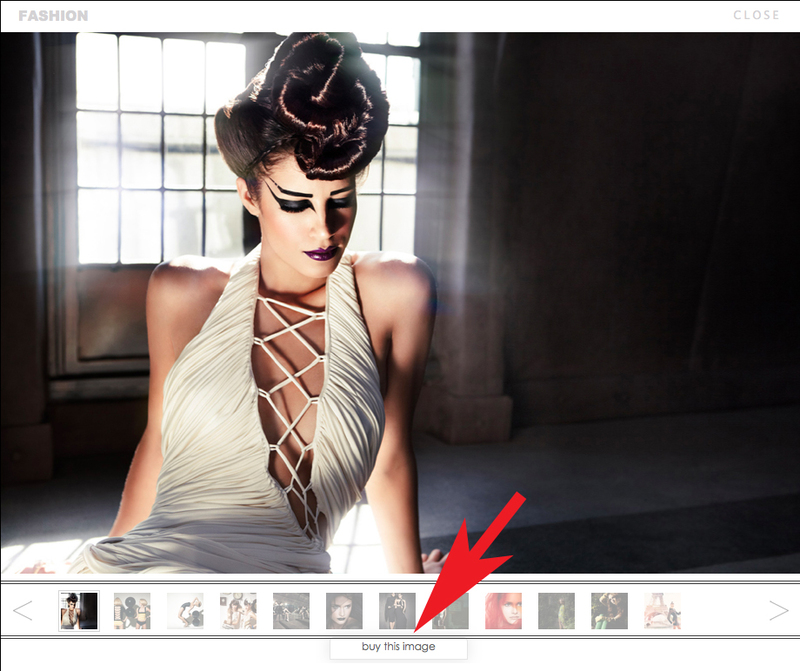 With a few clicks you can apply any of our gorgeous, modern themes right to your SmugMug galleries so your clients get the same experience while viewing their proofs. 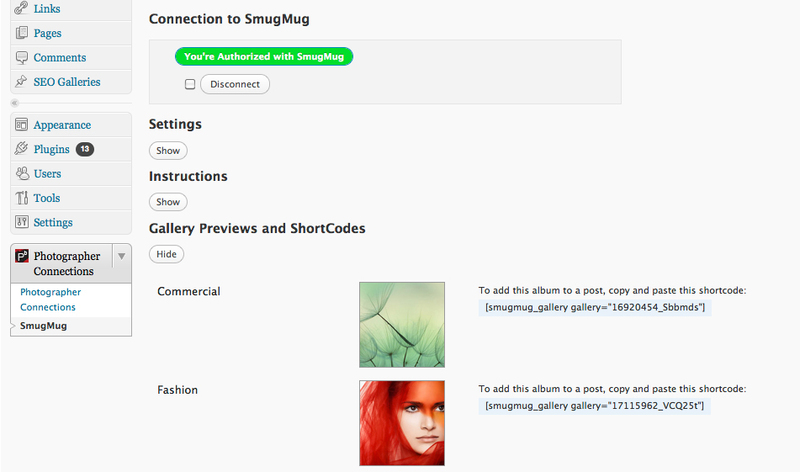 Best of all, our new SmugMug Galleries feature lets you include SmugMug “Buy” links: Customers viewing your Blogsite can click on the prompt and we’ll present SmugMug’s easy shopping cart. All they have left to do is pick a print size and check out. SmugMug’s pro labs will take care of the rest, and your orders are backed by their 100% unconditional guarantee. And with our new social media sharing tool ‘Blaze’, you can quickly share and re-share any gallery via Facebook and Twitter. Visitors following the link view the gallery on a re-sharable page, with options to easily send it to their friends, who can send it to their friends, and so on, and so on. 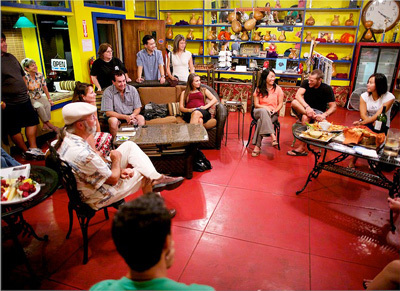 Allowing anyone in these extended social media circles to purchase your images. Website + Blog + SmugMug. All-in-One. *To celebrate this special partnership we are bringing back our Lifetime Deal! $499 for all of our themes, 4 GB of hosting, our support, maintenance, upgrades and much, much more. With no re-curing charges EVER! ACT NOW this deal will expire on September 15, 2011. See all the features you’ll get with SmugMug like amazing backup and security options, unlimited photo and video uploads and integrated commerce features to help you sell. When you go Pro, you get all of the above and tons more at $20/month or $150/year. 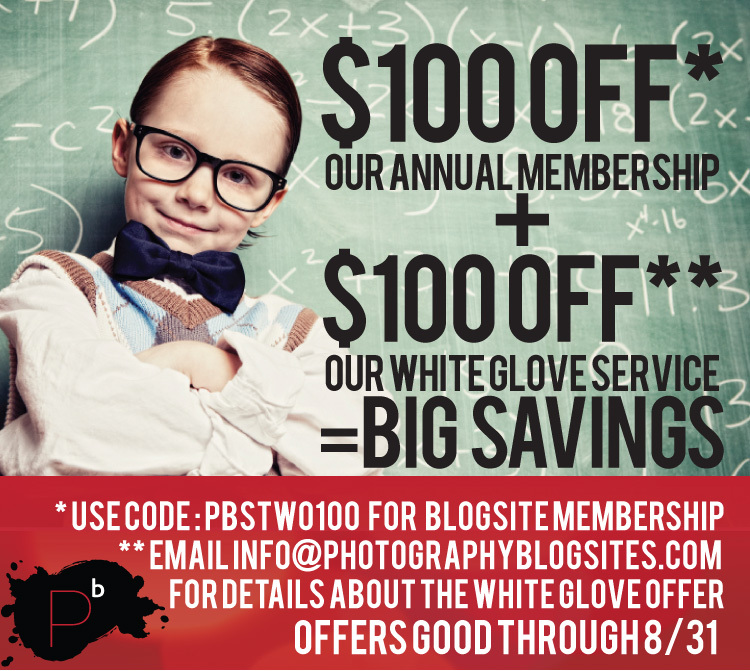 As a special deal for Photography BlogSites customers, SmugMug is offering 20% off your first year’s subscription. Just use the code PHOTOGRAPHYBLOGSITES20.